Is it tight hips or tight ankles? We work on hips a lot. 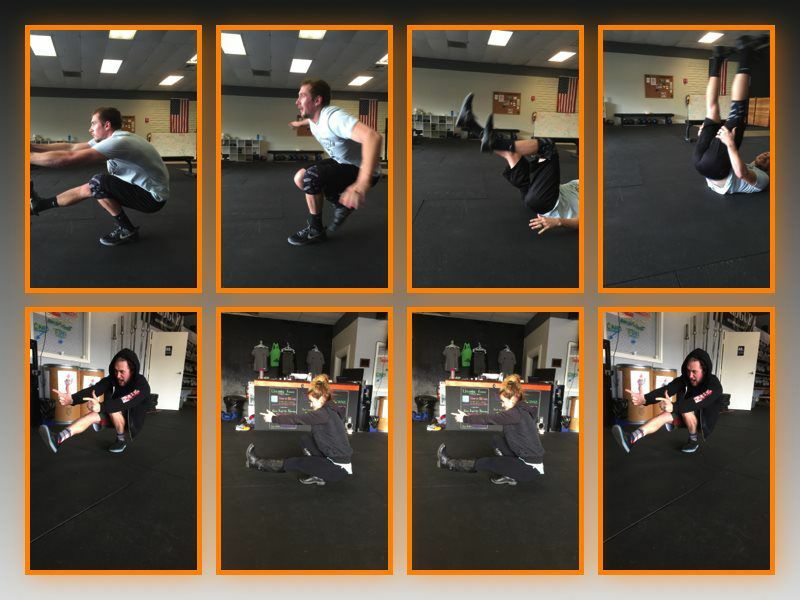 When it comes to bad positioning in squats it is often tight hips that we blame. What if I told you that could be a false assumption? An easy way to test whether it is hips or ankles is holding the bottom of a pistol position. No you do not need to perform a pistol to test this. It is simply testing whether or not you can hold the bottom. You can refer to the picture below of how you should look. A full test is holding the bottom of that position for at least 20 seconds. If you can hold it but fall right out of it- see the pictures of PJ- then you probably have tight ankles! Another way to test for tight ankles without the effort of holding the bottom of a pistol is simply squatting. If as you lower into your squat your ankles turn really far out, then you most likely have tight ankles. If you can remain fairly straight and stable as you descend into the bottom of a squat than your next confirmation would be the pistol test.